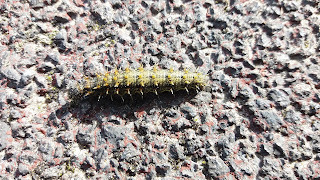 Carmarthenshire Moth and Butterfly Group: Caterpillar identification help please. 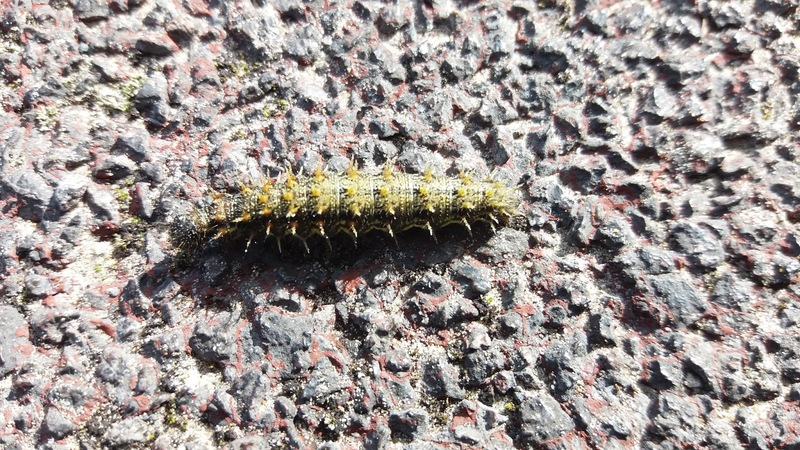 Yesterday I went for a very windy walk along the coastal path from Burry Port in the direction of Llanelli and saw a white ermine caterpillar and 5 of these caterpillars all crossing the track in the space of about 200 yards. I only have a very basic guide to caterpillars so would appreciate any identification help please. Apologies for the poor mobile phone image. A Painted Lady, very nice!